Let your feet sing and take flight with the Feather. The Feather is 39.25" long, 9" wide and weighs in at a mere 2lbs 15oz, light enough to make any street tricks a cakewalk. From its drop through mounts, camber form, foot lock concave and responsive nose/tail the Feather excels in carving, pops like bat out of hell, and drifts through slides. Offered in 3 flexes and 2 graphic types your Feather will be tailored to you. Made from the 3 ply renewable carbonized bamboo and the finest fiberglass and epoxy in the industry, the Feather can be either flexy or stiff with unmatched durability. Life is short, why waste time doing anything other than what you love? Il Ballerino is a 47” dancing machine. 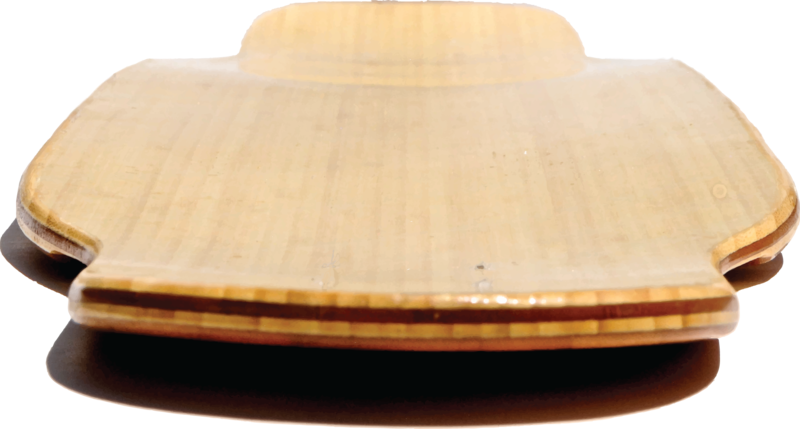 Equipped with 1” rocker, .35” continuous radial concavity, a hefty 33” WB, and with a large effective foot platform, this beauty is gonna make your feet sing. 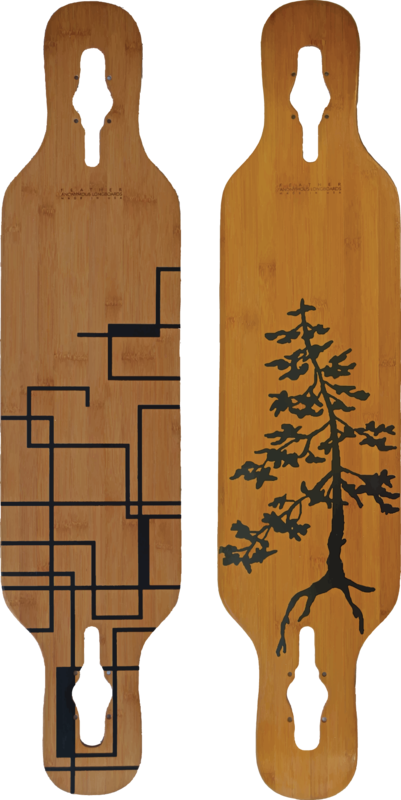 This all bamboo deck is laminated with glass and epoxy in three variations accommodating your flex preference. 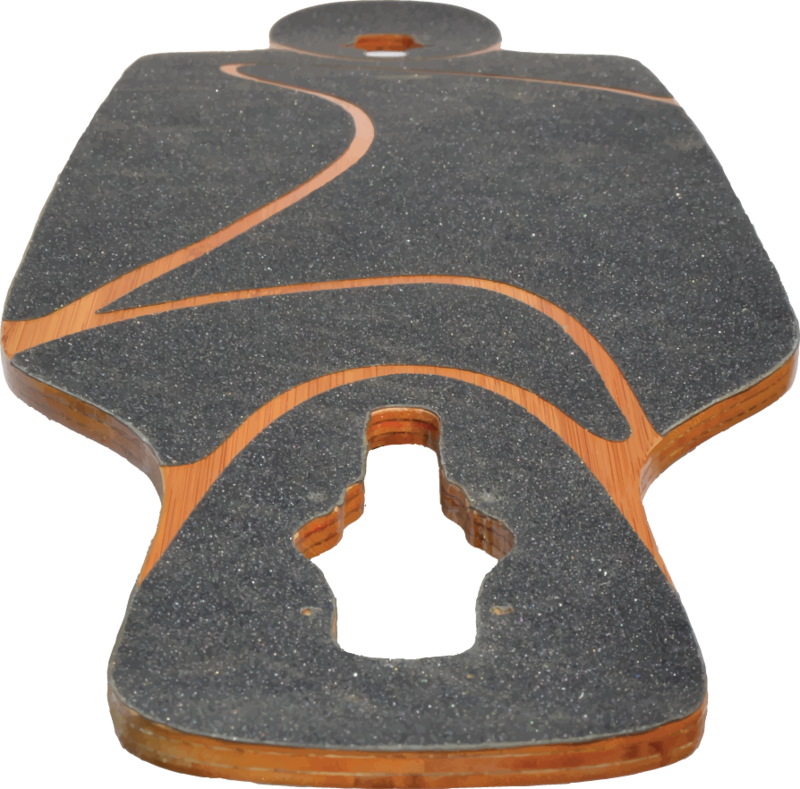 Our unique grip design allows your board to flex as she pleases; free of all restrictions. There are few countries more proficient in dancing than South Korea. We saw it fit to collaborate with Victors Boardshop in the development of this fine tuned board. The Marionette features a 33.5” WB, hand routed wheel wells, 1” of camber and the largest effective foot platform we have made yet. Using three plys of 3mm Bamboo and fiberglass, the Marionette is lightweight, flexible and damn good looking. Tumulus was developed with the intentions of making a deck so easy to slide, your mere thoughts would throw you into some buttery goodness leaving thane behind as you paint your way down the hill. 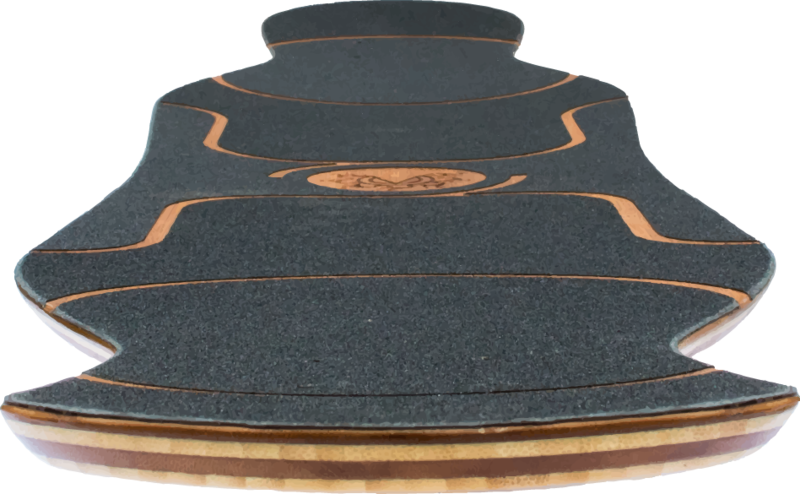 Built with .75 in of rocker and a variable wheel base, you can fine tune this deck for DH or freeride. The hand routed wheel wells eliminate wheel bite and the addition of the recessed flush mount further lowers the center of gravity increasing stability. No quiver is complete without a great cruiser. 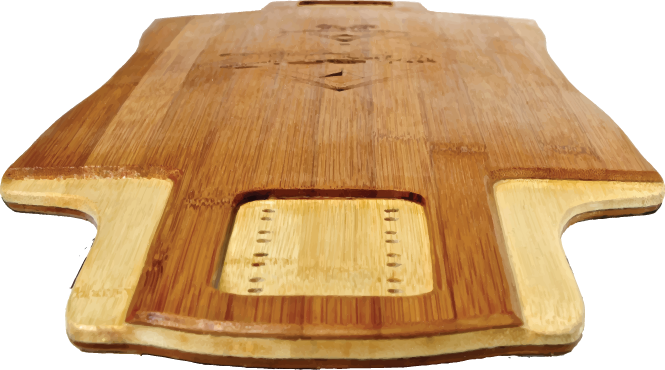 The Pacto is built from 100% bamboo, designed to turn on a dime and can even ollie up curbs. 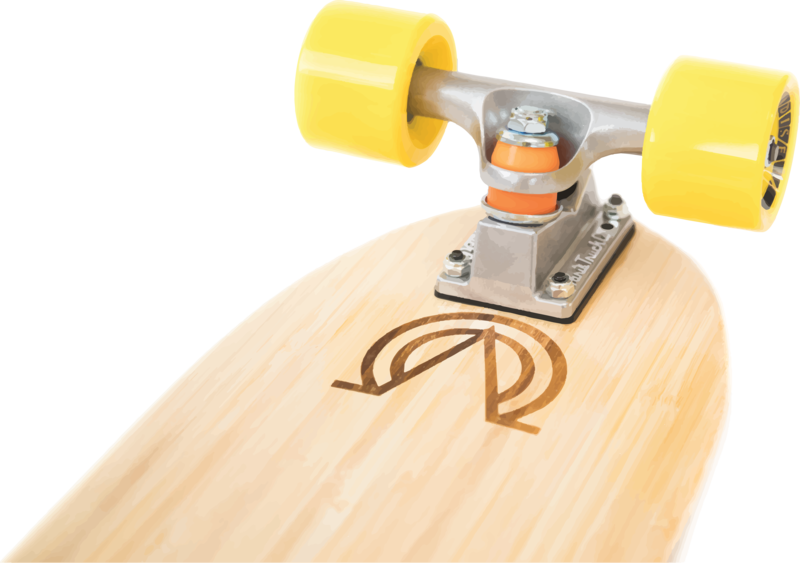 It offers traditional skate trucks allowing for a tighter turning radius, has soft grippy wheels and features a beautiful sectional grip tape design. Not only is this deck lightweight but it is small enough to easily stash in the back of your car, your locker or strapped to your backpack. This deck also comes laser engraved and is sold as a complete. If you are looking for a great cruizer/commuter deck thats ready to shred right out of the box look no further. Think you have what it takes to shred for Anonymous? Sweet! Your submission has been received!